Frank E. Aultman, age 82, of Bellefontaine, Ohio passed away at 9:12 A.M. Monday, February 11, 2019 at his residence. He was born in Urbana, Ohio August 12, 1936, to the late Raymond G. and Mildred (Watson) Aultman. On December 7, 1954, he married Martha Joann Fry and she preceded him in death March 26, 2011. 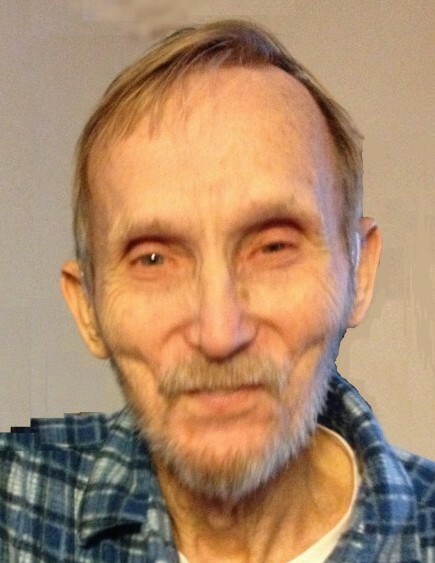 Frank was also preceded in death by a son, Ron Aultman; two daughters, Betty Jo Aultman and Cheryl Ann Colyer; sisters, Patty Aultman and Marylou Evilsizor and a brother, Richard Aultman. He is survived by a son, Randy (Collette) Aultman of Lima, Ohio; a daughter, Pam (Ron) Pope of DeGraff, Ohio; a son-in-law, Tim Colyer of Bellefontaine; a daughter-in-law, Choi Aultman of Fredericksburg, Virginia; eight grandchildren, Heidi (Matt) Duckro, Heather (Chad) Kean, Hollie Pope, Joshua (Amanda) Aultman, Mandy (Corey) Allinder, Hana (Richard) Bradt, Chris Aultman, and Ashley Colyer; eighteen great grandchildren, Jasmine, Jesse, C.J., Greg, Clay, Aaron, Kennadie, Colton, Brayden, Peyton, Calieb, Logan, Arriana, Karston, Audrey, McKenzie, James, and Daniel; a sister, Dorothy Sutphin of Pataskala, Ohio; brothers, Ray (Mae) Aultman of Clayton, Indiana, Billy Aultman of Urbana, Ohio and Steve (Kathy) Aultman of Urbana; a brother-in-law, Paul (Gloria) Fry of Conover; sisters-in-law, Betty Dowell of Bellefontaine and Merry (Rick) Henry of Bellefontaine and numerous nieces and nephews. Frank attended the Stony Creek Church in Bellefontaine. He provided for his family doing HVAC and control circuit work. He loved woodworking, teaching at Ohio Hi-Point JVS, and spending time with his family. Frank will be remembered by his love of family, his hard work, providing for his family, his distinct infectious laugh, and his many pranks he would play on his family. He was an avid fan of the Cleveland Browns and The Ohio State Buckeyes. Frank would do anything for anybody if they asked. Pastor Harold Leiss will officiate the funeral service at 10:00 A.M. Thursday, February 14, 2019 at the Eichholtz Daring & Sanford Funeral Home & Cremation Center in Bellefontaine. Visitation will be held Wednesday, February 13, 2019 from 4 to 7 P.M. at the funeral home. Burial will be at the Springhills Cemetery.